In her latest video, Kirsten Joy Weiss shows off the 300 AAC Blackout, a popular .30-caliber cartridge for AR-platform rifles. Kirsten explains the advantages for the 300 BLK for hunters as well as those using an AR for self-defense. The 300 BLK is popular with suppressor owners because it works well with heavy bullets launched at subsonic velocities. — You can use your current AR Bolt, Bolt Carrier, Buffer, and Magazine. The only part you need to change is the barrel. — 300 BLK conforms to state hunting regulations which may require a cartridge larger than .22 Caliber. The 300 BLK shoots .308 caliber bullets. 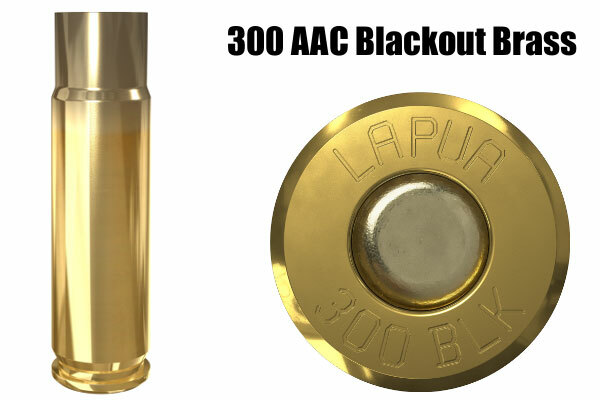 — Lapua now sells 300 AAC Blackout brass so no case-forming is required. Just load and shoot. — You can shoot light bullets supersonic or heavier bullets subsonic. The subsonic capabilities of the 300 BLK make it ideal for use with a suppressed AR. — With a .30-caliber bore and a modest powder charge, barrel life is outstanding with the 300 BLK. — You can make 300 BLK cartridges from fired .223 Rem brass, which is plentiful and cheap. — The .300 BLK performs well with some very accurate powders, such as Hodgdon H4198 and IMR 4227. The 300 AAC Blackout was created by Advanced Armament Corp. and Remington primarily for the military as a way to shoot .30-caliber bullets from the M4/AR15 platform while using standard magazines. As explained by Robert Silvers, AAC’s R&D Director: “Now there is a way to shoot 30 caliber from your AR while still using normal magazines with full capacity. Even the bolt stays the same, and all that changes is the barrel.” For more information visit www.300aacblackout.com and download the 300 BLK Cartridge Information Guide (PDF). 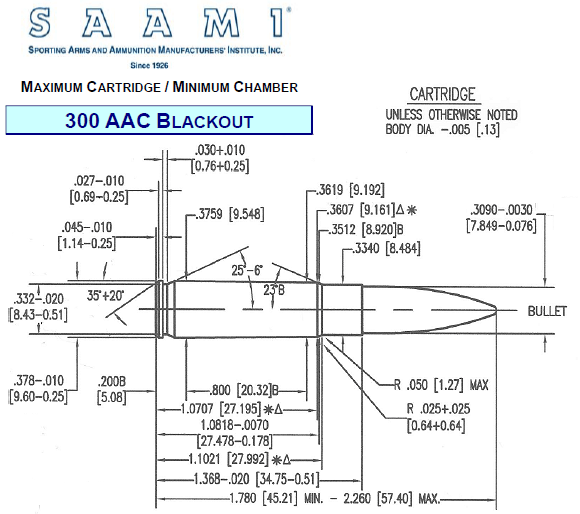 SAAMI, the industry standards organization, adopted and standardized the AAC 300 Blackout in 2010. The SAAMI diagram for the 300 BLK is shown above. Lapua now makes 300 BLK cartridge brass. The 300 AAC Blackout has been touted as an important new hunting round, but we see it more as a specialized “rule-beater” 30-cal option that lets 3-Gun competitors “make major” with a low-recoil cartridge that also offers long barrel life. For those who need to run a .30-caliber cartridge from a standard AR15 platform (as opposed to the AR10), the 300 AAC Blackout makes some sense. But for hunters using a bolt gun, there are any number of tried and true options, such as the 7.62×39, .30-30, and, of course, the .308 Winchester (7.62×51 NATO). Share the post "Why Shoot a 300 Blackout? Kirsten Provides Some Answers"